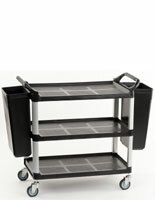 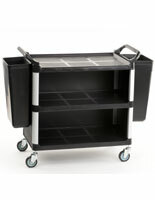 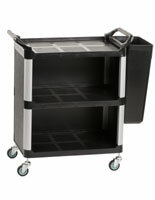 This bus cart and accessories provide a portable unit for wait staff. 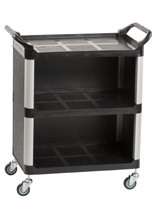 Each service equipment pushcart has two easy grip handles that are designed to make steering manageable and accessible from both sides. 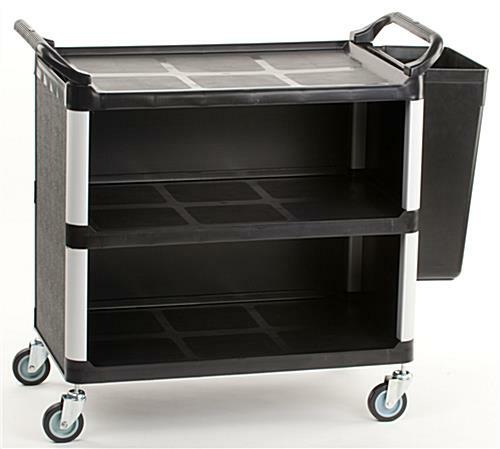 The bus cart and accessories that has swivel casters for easy maneuverability to provide effortless portability and additional elevation. 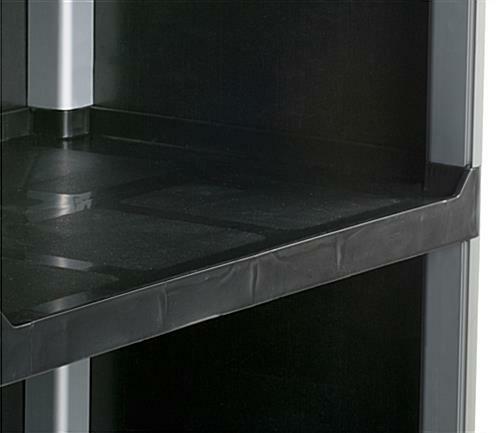 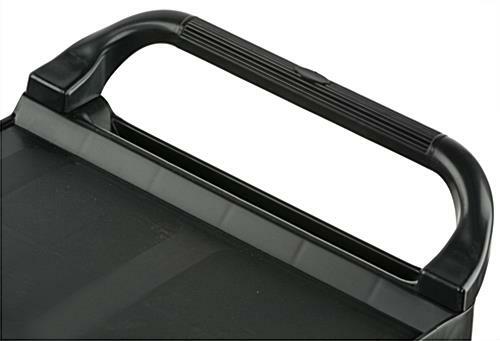 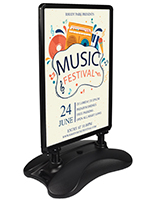 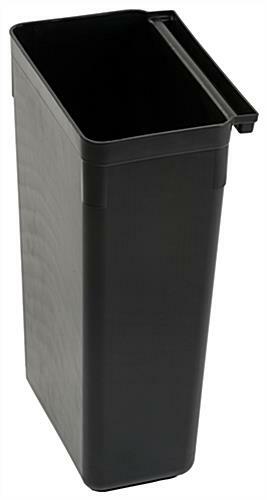 This supplies carrier is manufactured with rounded corners which eliminate the potential for damaging walls if accidentally hit. 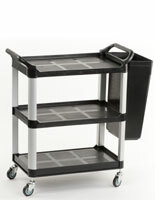 The mobile hand trucks provide a portable unit to transport a multitude of materials at once with eases. 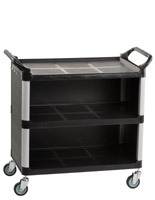 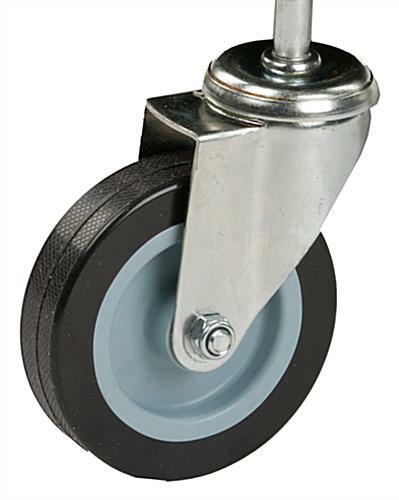 These bus cart and accessories are ideal in numerous business environments such as schools, hotels, restaurants, medical practices, warehouses, store sales floors, and office settings. 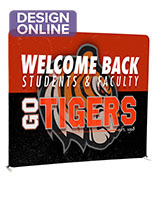 45.5" x 38.8" x 19.6"